I was right. Argentina won 17-12. Although they were playing with fire at the end. The french really can be dangerous at the death. Tags: argentina, france, result, rwc2007. 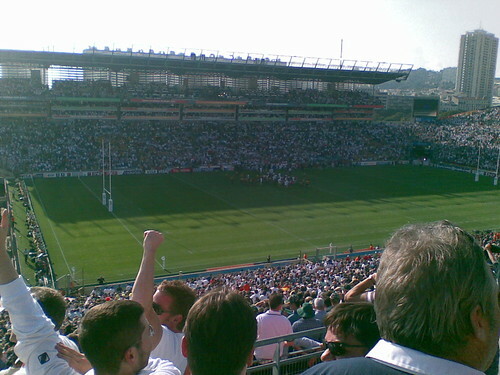 Tags: england, result, rwc2007, usa. Well that was an exciting game. Japan were really quite good and pushed Fiji very hard. The Fijians could have been their own worse enemy at the end there. They had at least 2 chances to kick to touch which they missed. Tags: fiji, japan, result, rwc2007. A better game in the second half. Italy should have done better though. Tags: italy, result, romania, rwc2007. 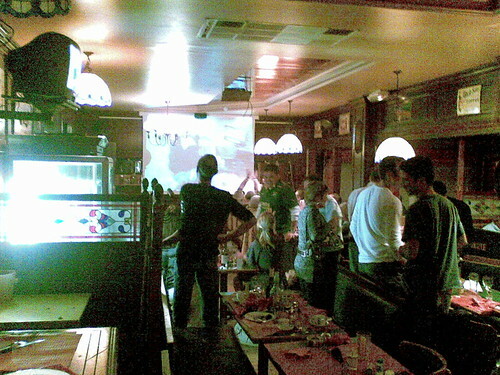 Caught the last 20 minutes of this game in a bar full of french supporters. France looked awesome. Obviously the loss to Argentina was the kick in the arse they needed. Missed the start since I was having a really nice dinner. Post to follow about that. Yet to find hordes of England supporters. Perhaps they are all turning up tommorrow. 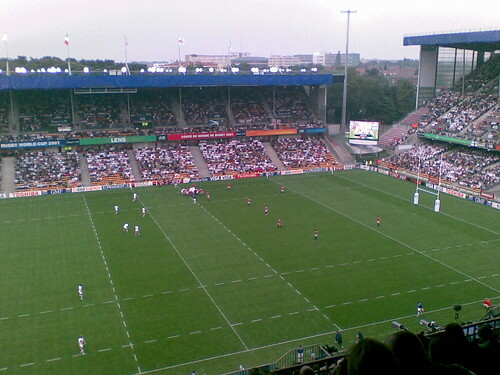 Tags: france, ireland, result, rwc2007. Woo! We won. Exciting finish. We looked good for once. The aussies scrum was under pressure all match. They wouldnt have been able to contain new zealand in the next round. So they may as well lose this round. Makes the England tournament respectable even if we go out next week. 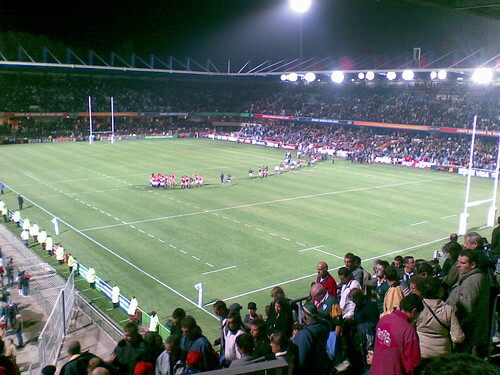 Tags: australia, england, quarter-final, result, rwc2007. Scotland came close at the end there. The kick was probably the wrong choice. At least it made sure all 4 quarter-finals were exciting and tense to the end. Roll on the semis. Tags: argentina, quarter-final, result, rwc2007, scotland.